Here are a few new prints I've added to my Etsy Shop. My Autumn Leaves and Sunset Over Koh Samui landscape images are printed on a high quality lustre paper and look fantastic framed. 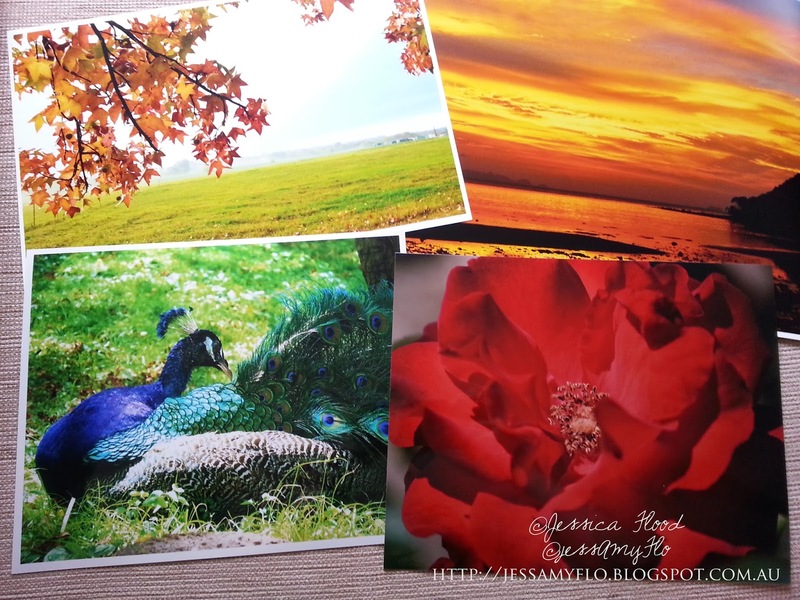 I'm especially excited to list my 'Jewel of India' peacock and 'Scarlet Rose' metallic prints. I am absolutely blown away by this new metallic paper. It's so vibrant, clear and shimmers beautifully! It gives the image a sort of 3D layered effect. Here's a quick peak of them. But this picture was taken on my phone so the quality is blah and just doesn't do them any justice so head on over to my Etsy Shop for a closer look. I'm also waiting on a large order of new lustre prints which I should have ready for sale in the next few weeks. Exciting!! !